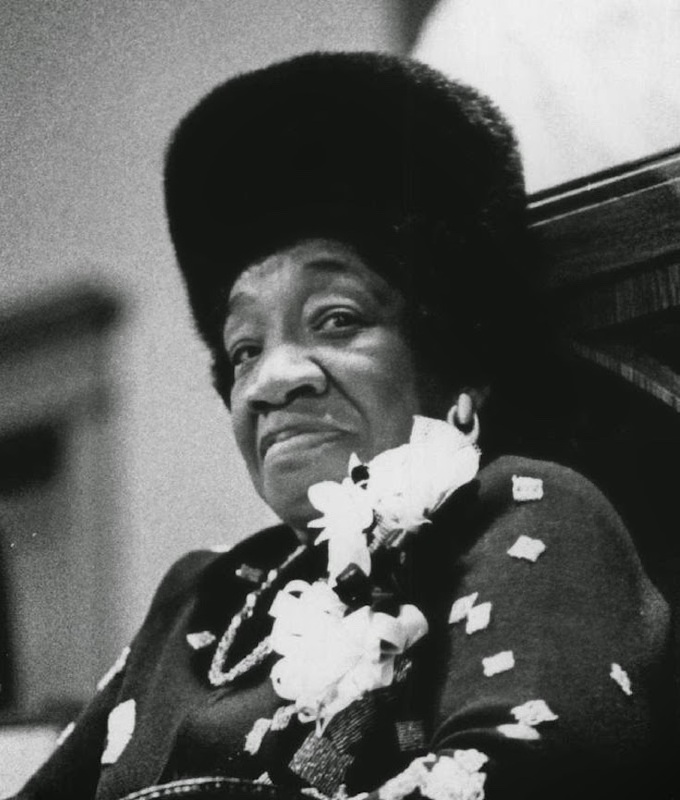 The forgotten assassination of Dr. King’s mother – Rolling Out Every American student knows that Dr. Martin L. King Jr. was assassinated by James Earle Ray, but very few are aware of the murder of his mother, Alberta Williams King. ALBERTA CHRISTINE WILLIAMS KING | MOTHER, DR. MARTIN LUTHER KING JR.
Alberta Christine Williams King (September 13, 1904 – June 30, 1974) was Martin Luther King, Jr.’s mother and the wife of Martin Luther King, Sr. She played a significant role in the affairs of the Ebenezer Baptist Church. Alberta Christine Williams was born on September 13, 1904, to Reverend Adam Daniel Williams, at the time preacher of the Ebenezer Baptist Church in Atlanta, Georgia, and Jennie Celeste (Parks) Williams. Alberta Williams graduated from high school at the Spelman Seminary, and earned a teaching certificate at the Hampton Normal and Industrial Institute (now Hampton University) in 1924. Williams met Martin L. King (then known as Michael King), whose sister Woodie was boarding with her parents, shortly before she left for Hampton. After graduating, she announced her engagement to King at the Ebenezer Baptist Church. She taught for a short time before their Thanksgiving Day 1926 wedding, but she had to quit because married female teachers were not then allowed. Their first child, daughter Willie Christine King, was born on September 11, 1927. Michael Luther King Jr. followed on January 15, 1929, then Alfred Daniel Williams King I, named after his grandfather, on July 30, 1930. About this time, Michael King changed his name to Martin Luther King, Sr.
Alberta King worked hard to instill self-respect into her children. In an essay he wrote at Crozer Seminary, Martin Luther King Jr., who was always close to her, wrote that she “was behind the scenes setting forth those motherly cares, the lack of which leaves a missing link in life.” (Wikipedia).